How to sell a property - online interactive guide. How to sell a real estate in 5 steps. Weclome to our online course connectes with real estate trading. In that article we will descri-be most important issues connected with real estate trading. All materials base on our company expierience and knowlegde acquired on business conferences. Preparing property interior for sell. Use home staging to level up standard of Your interior. People like eye - catching, and esthe-tic apartments and homes. Even if You do not plan to renovate it at all nice painting with good quality paints will be affordable for property. Avoid darken colors and gaudy paints- not anyone like it, and it can discourage potential buyers. Your aim should be creating an interior that will be attractive to vast group of clients. Invest in good source of light - it's a key factor in property ou-tlook and interior presentation. And now we meet important question! Home staging - is it worth to do? Yes. For example if Your apartment is from south side, do not present it in the morning. Cho-ose best to show time of the day and try to make all appointments at one time (if it is possible). You can also use home staging to improve overall look of property interior connected with furni-tures and architectural details (lots of useful information about home staging is available online). In our opinion it's really worth to use that knowledge, that really works in practice. In many cases investment of 200$-300$ can increase transaction price at least by 10 000$. Please note: do not make it if You want cover technical mailfunctions and problems. It will work on the oposite way - client will see that Your aim was hide disadvantages. Collect all documents connected with property. Collect all documents connected with property. You will save time and stress during transactions. 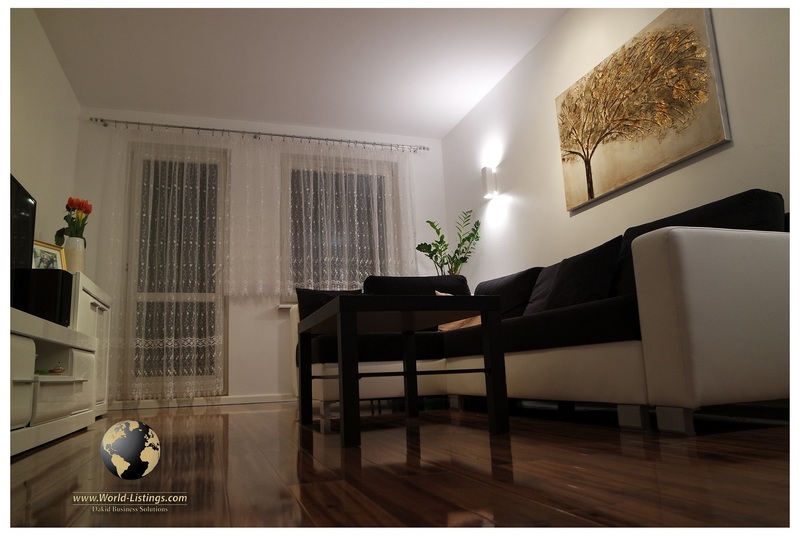 Prepare professional photos of interior and building. Do not use to any program to lift visual ef-fects. Remember: it's much better to surprise potential buyer inside apartment/house than disappo-int on the beginning. Make a photos only in daylight; take a pictures from the corners to show all room and interior. Prepare also information about all property, building, renovation and admini-stration fees. If you are not able to do that hire professional photographer. It really matters in futu-re property online marketing and increase click conversion of the offer that was placed on Inter-net. The good idea i also making a promo movie, upload it to YouTube and paste link to Your offer. Its important because not every client can imagine overall property layout when he base only on pictures. Establish final price and personal BATNA line. Every real estate transaction is connected with future plans. If you establish your final price and explain it to potential buyers it will give you an advantage on the market. Talk with good real-tor about the price and current situation on local market. Do not compare your property with other ones on the internet. Lot's of them is on sale since years. Hunting for higher price can be tempting but remember: almost every buyer will ask: How long Your property is on the market? No one wants to buy home that is 5 years on the market. Choose most effective and best marketing strategies. Use friends, real estate agency and social media to promote listing. If You got Facebook and Instagram account publish post with previously prepared property pictures Right now You can use online creators (like Canva) and upload photos from computer or phone. If You got lot of photos create website with gallery. Ask friends to like and share the post - Facebook is a great tool that allows advertise property to local group of people especially Your close friends. There is no better way to advertise it to thousands of people for free. You can also use public free groups like: . - are most popular in Your country. The aim is to focus only on most popular services. If the property is connected with business activity use also B2B services to enlarge the overall range of advertisment. If You got all materials (documents, price, photos, movies) You can start the engi-ne! Do not treat visitors as a clients. I do not like clients. Client is a faceless and empty word. In-stead of that use word "partner". Be sincere with them. It really matters in future negotiations and potential transaction. Use open doors days to show property at one time to buyers. If You are busy person leave the keys to real estate agency and hire good real estate agent. In real estate marketing "every second count's", so find a way to show the property as often as possible. - how to make a proper photo of interior? - what are best to edit tools and programs to regular sell of property? - where to place property ad? - how to promote property online? - what are mots popular mistakes in real estate trading? - how to design Social Media first action? The describe below online guide is affordable for begginer agent as well as private individual! Check, learn and good luck with You next deal!